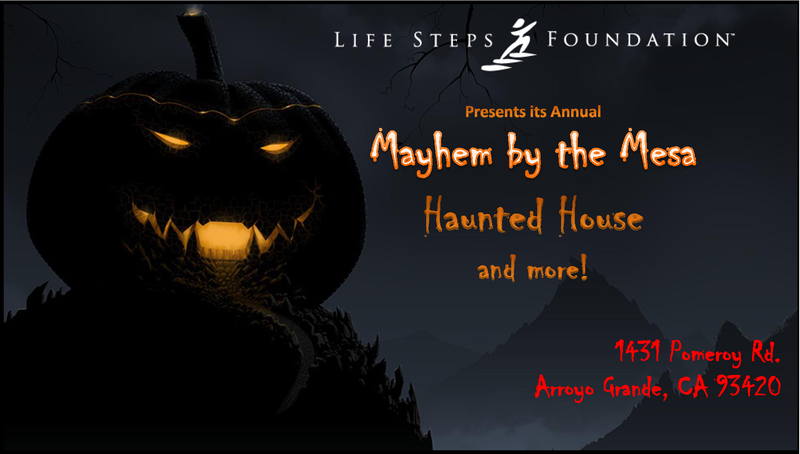 Description: Life Steps Foundation Central Coast Adult Services (CCAS) is excited to announce its Annual "Mayhem By The Mesa" Fundraiser happening this October 2018. This gives us a chance to educate our friends and neighbors about our individuals and the services we provide in the area. The fundraiser will feature a haunted house, music, games and more. This is a Donation Based Fundraiser meaning any contribution will get you into the haunted house! Join us for this good family fun for a great cause! For more information, please email us at ccollins@lifestepsfoundation.org or call us at (805) 762‐4500. We are in need of volunteers! Call us or email us to let us know your interest. 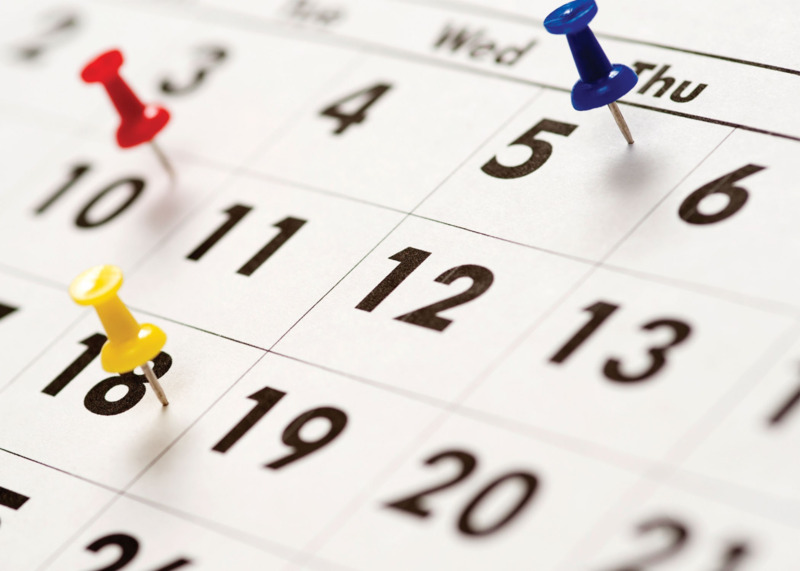 ALL event days are open from 7:00 pm - 10:00 pm. Life Steps Foundation Central Coast Adult Services is a non-profit organization providing services to seniors and developmentally disabled adults assisting them to live as independently as possible in their own home, in their own community.